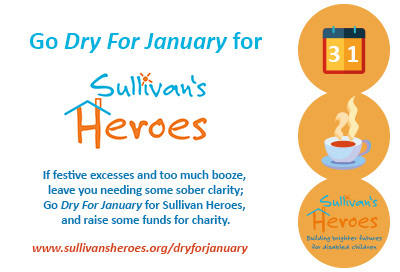 If festive excesses have left you full of booze, and needing some sober clarity; Go Dry For January for Sullivan Heroes, to raise some funds for charity. 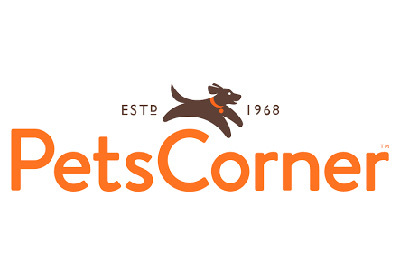 We are very excited at Sullivan’s Heroes to have received a fantastic donation of £10,000 from well known pet retailer Pets Corner. 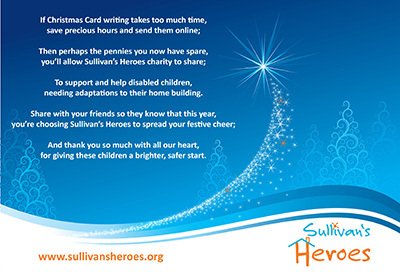 What an amazing Christmas present, to aid disabled children. 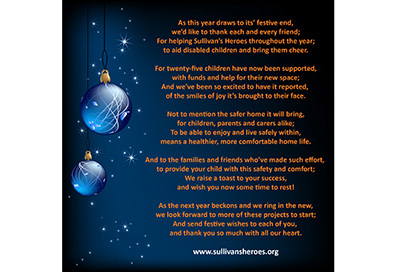 As this year draws to its’ festive end, we’d like to thank each and every friend; For helping Sullivan’s Heroes throughout the year; to aid disabled children and bring them cheer. End of the year, and an end of Libby’s project! We have lots to tell you this month! 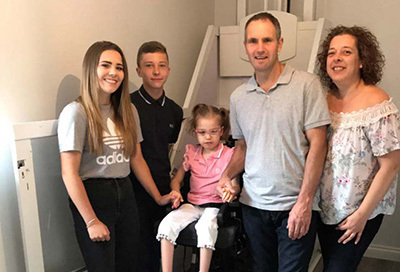 The charity has been busy with new applicants over the past few weeks and we’re delighted to report we are now supporting 25 children with home adaptation grants and their family’s fundraising towards the works. The two most recent of these are Jakey and Ibraheem who’s families are busy fundraising for the new spaces required. 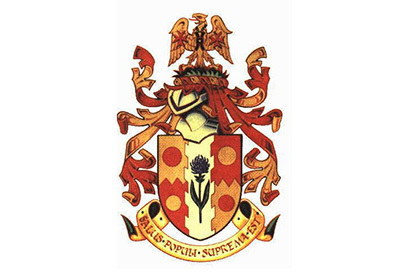 We were delighted to attend the annual Mid Sussex District Council Chairman’s Civic Service yesterday evening at our local St. Leonard’s Church in Turners Hill.